It's pricey, but Ziwi Peak is adored by cat experts, cat owners, and, most important, most cats. If kibble is what your kitties demand, Orijen can't be beat. If money matters, we name some top value cat food choices, too. It's pricey, to be sure, but experts and cat owners point to Ziwi Peak as one of the best cat foods you can buy. It is made in New Zealand, a country with high food-safety standards, and the Ziwi Peak brand has never been recalled or withdrawn. 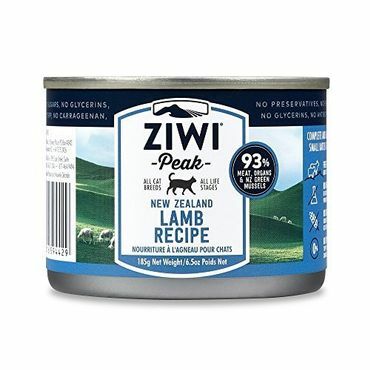 Made using free-range, sustainably raised animals, the limited ingredient lineup makes Ziwi Peak lamb an especially good choice for cats with food allergies. 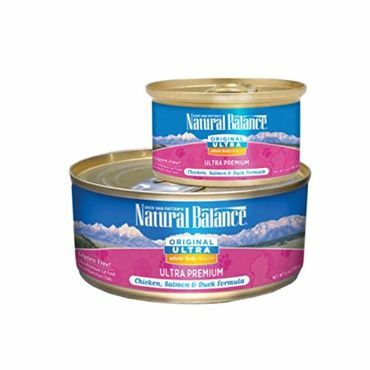 Natural Balance Original Ultra Formula is a lot cheaper than premium cat foods like Ziwi Peak, but that's because it includes more cost-cutting grains. However, that's offset by including lots of high-quality meat -- with chicken broth, chicken, chicken liver, salmon and duck being the top five ingredients. The company's safety record isn't as perfect as some, but it's responded by putting a comprehensive product testing program in place. Although some experts say cats need wet food to stay hydrated, others have no problem with a high-quality dry food. 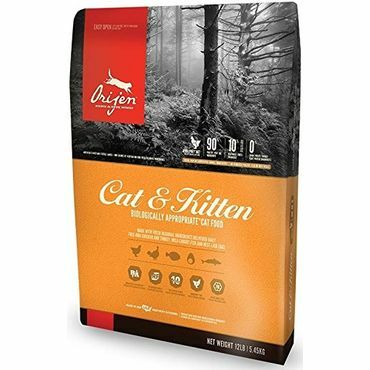 Made from fresh meats, fish, eggs and produce, Orijen Cat and Kitten Formula's grain-free, natural ingredients make it the best dry cat food you can buy. The company has a good safety record and the food has never been recalled in North America. 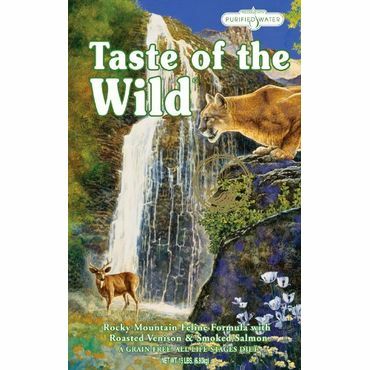 Unlike supermarket cat kibble -- which is usually a stew of corn, wheat and byproducts -- Taste of the Wild Rocky Mountain Feline Formula is free of all of the above. Meat is the main ingredient, which experts say is far better for cats. While it's pricier than low-quality kibble, Taste of the Wild is one of the least expensive grain-free dry cat foods you can buy. 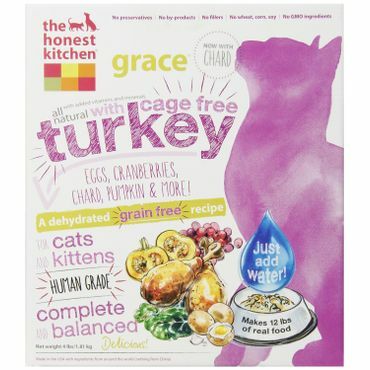 While this dehydrated cat food is not quite raw (the manufacturer steams ingredients for better food safety), The Honest Kitchen Grain Free Turkey Recipe is a relatively economical way for cat owners to feed their charges a diet that comes very close to what a cat would eat in the wild. A single 4 pound box can feed a typical cat for around a month. The ingredient quality is top notch, too. Also called wet cat food, canned cat food is the top choice of many experts. Among other things, it packs plenty of moisture. That's important for a cat's health as their lack of a natural thirst drive can lead some to become dangerously dehydrated. Wet foods -- at least the best ones -- also usually pack in more meat and less starch than dry food. Though it is more convenient then wet, dry cat food is fairly controversial. Some experts say dry-fed cats don't get enough moisture, and that can jeopardize health as cats don't have a strong thirst drive. Others say that as long as you also provide plenty of fresh water, dry food works fine. If you decide that dry foods are right for your situation, meat-rich dry cat foods with little or no grain are the critics' choice for carnivorous cats. This type of cat food does the best job of impersonating prey. Raw meat and organs are ground up in exact proportions to give cats all the nutrients they need. Raw and near-raw (minimally processed) cat foods are sold frozen or in dehydrated form. What makes a good cat food? In the wild your cat would get perfectly balanced, ideal nutrition, neatly wrapped into one small package: a mouse. The best commercial cat foods essentially try to replicate that delicate balance of proteins, fats, vitamins and minerals. Some do a surprisingly accurate job, critics say. However, caring cat owners need to be wary as lots of cat foods fall woefully short. Cats are obligate carnivores, and experts say meat should be their primary source of protein for proper health. But not all meat is created equal. It is better, say experts, to look for specific origins when it comes to ingredients. "Chicken meal," for example, consists of chicken flesh and skin, without bone, feathers, organs, etc. A label that says "meat meal," however, doesn't indicate a source and can come from just about any animal. Experts say beef meal is a lesser-quality protein source for cats than chicken meal. In dry foods, seeing meat at the top of an ingredient list can be a little misleading, as meat has a high water content that's removed when it is processed into dry cat food. Meal, on the other hand, is meat with the water removed, and finding it high up in the ingredient list is a good indication of a high-protein dry food. As with wet varieties, better dry cat foods will identify the source of the meal. Just as for human food, there are regulations regarding the labeling of cat food that can help consumers assess the amount of meat in the food. If a product is labeled "beef cat food," for example, 95 percent of its ingredients must be beef. If it says "chicken dinner" or "lamb formula," the named meat only needs to be 25 percent of the ingredients. If the packaging simply states "chicken flavor," the food merely needs to taste like chicken to the cat (though how that's ascertained is a bit of a head-scratcher); it does not need to actually have any chicken in it. For protein, many cat foods, especially -- though not exclusively -- less expensive formulas, use meat byproducts. There are two schools of thought regarding the use of byproducts in pet food. One point of view says that in the wild, a cat will eat every part of its prey -- bones, fur, internal organs and all -- therefore byproducts are a part of a cat's natural diet, so a small amount of byproduct might not be too bad. Among those with that point of view are veterinarian Lisa A. Pierson, whose CatInfo.org website says, "The whole issue of byproducts or no byproducts is a personal one." Pierson goes on to say that byproducts at least are of animal origin and don't add carbohydrates to the food. She adds that it is more sensible to include small amounts of animal-derived byproducts in a carnivore's diet than it does to add grains like corn, wheat, rice or soy, which add carbs to the diet and could trigger an allergic reaction in some cats. Others, such as Franny Syufy, who writes about cats and cat nutrition at The Spruce, aren't so sure. While Syufy allows that byproducts of named meats, such as chicken by-product meal, may be acceptable, she would prefer it be listed far down on the label, and certainly not as the first item in the ingredient list. Premium cat foods recommended by most experts contain few, if any, byproducts. You also might see an ingredient called "animal digest," which is the dry or liquid byproduct of the meat-rendering process. Experts say that while there is meat content in animal digest, it's of little nutritional value as it is not very digestible. Animal digest is almost never found in top-quality cat foot brands. Artificial preservatives also give cat owners pause. There have been no studies done to determine the effects of long-term buildup of preservatives. Even so, the use of preservatives in human food has become a concern, and that has extended to pet food. Based on customer concerns, the best cat foods have switched to vitamins C or E as preservatives rather than chemical preservatives. If you decide to avoid artificial preservatives, check the label. Some common names of these chemicals include BHA/BHT, ethoxyquin and propyl gallate. Adding to the complexity of finding the best cat food, Susan Thixton explains in her blog, Truth About Pet Food, that pet food can include preservatives not listed on the label -- as long as they're added to an ingredient before it reaches the cat-food manufacturer. Carrageenan is a thickening agent that's obtained from red seaweed. It's a common ingredient in lots of human food, ranging from infant formula to ice cream, and is found in the majority of canned cat foods, including some premium brands. Susan Thixton is among those who say that it's not an ingredient we'd want to see in pet food because of research done on human tissue. The Center for Science in the Public Interest (CPSI) has labeled carrageenan as an ingredient that should be used with caution. The Center notes that the amounts in food are typically too low to be of a concern, though there are indications that eliminating it from their diet has helped minimize discomfort in some with intestinal disease. CSPI also notes that large amounts of carrageenan has harmed the colons of test animals. The bottom line is that if your cat is prone to digestive issues, choosing a food that does not include carrageenan might be well worth considering. Even what is used to line cans comes in for some concern. Most food cans -- including those for human food -- have a lining that contains BPA (bisphenol A) so that the food doesn't come in contact with the metal. The amount of BPA in these linings is judged to be low enough by the FDA to be considered safe, but some advocates remain unconvinced as high levels of the chemical have been linked to cancer, reproductive problems and other diseases in humans. In cat foods, it's possible to find smaller cans (6-ounces or less) without BPA linings, but not larger cans. Experts say cats need meat much more than carbohydrates, and many say cats don't need carbohydrates at all. In general, foods that contain primarily high-quality protein -- meat, rather than meat byproducts or grain fillers -- rank much higher in reviews. Some premium foods do include some vegetables or berries. Most experts say cats don't need any grains at all, but that if a grain is included, rice is much less apt to cause an allergic reaction than cheaper grains, such as corn or wheat. Many supermarket brands use comparatively more carbohydrate filler. This means your cat needs to eat more food in order to get the protein he or she needs. That, in turn, can impact your food costs in the long run, as well as your cat's overall health. Finding the best cat foods in every category comes down to evaluating each one based on the quality of its ingredients, safety (history of recalls, etc.) and value. Critics aren't shy about pointing out the foods that fall short. Our expert sources, including Petsumer Report, CatInfo.org, Reviews.com and others, scrutinize cat food labels and closely follow cat food recall news. However, even the best balanced, meat-rich cat food won't be a hit if your favorite feline refuses to eat it. That's where user reviews come in -- to a point. Cat owners posting at sites like Amazon, Chewy and elsewhere help us separate foods that many cats truly enjoy from those that are routinely rejected. It's worth noting, however, that on most sites, cheaper, supermarket-grade foods routinely out-perform foods that experts say are far healthier choices. Whether that's because of lowered expectations that sometimes go hand-in-hand with lower price, or whether some of the food makers have placed a priority on flavor rather than nutrition, is an open question. But either way, for this report at least, we've given higher weight to expert feedback, turning to users to break the ties between choices of similar quality. The result of that research and analysis are our picks as the Best Reviewed wet, dry and raw cat foods. More meat, less grain in the top five ingredients. No corn, wheat or soy as carbohydrate sources.